With standard all-wheel drive and flat-four engines-features that are still rare among smaller vehicles-the only shortcoming that the Subaru Impreza is guilty of is not having the profile of a Toyota or Honda. However, the Impreza is every bit as good, if not better, than perennial small-car-segment leaders like the Corolla and the Civic-plus it comes with competitive pricing that puts it within a wide range of consumers. There are no major changes for the 2018 model year, which is part of the nameplate's fifth generation of production. 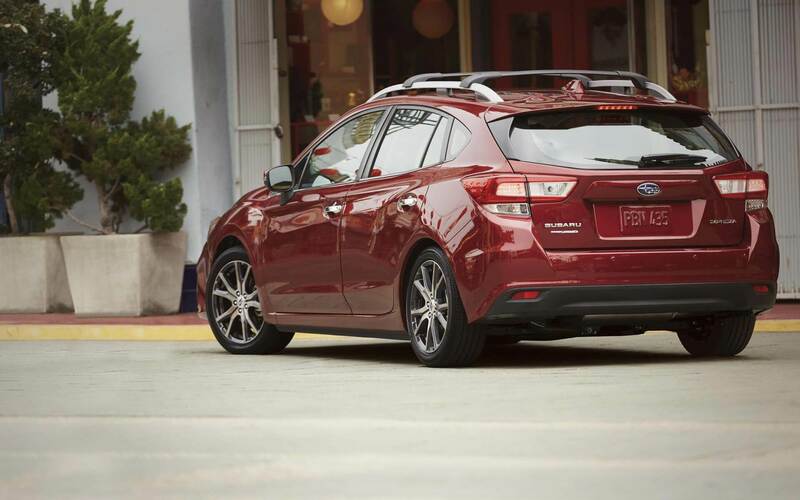 Available as a four-door sedan and five-door hatchback, the 2018 Impreza is split into regular, Premium, Sport, and Limited trims. At the front of the 2018 Impreza are multi-reflector halogen headlights for exterior illumination. Integrated into the headlights are daytime running lights for increasing visibility to pedestrians and other motorists. Black folding side mirrors flank the front doors, and there are roof crossbar mounting points for extra cargo carrying capacity. The Impreza rides on 16-inch steel wheels. 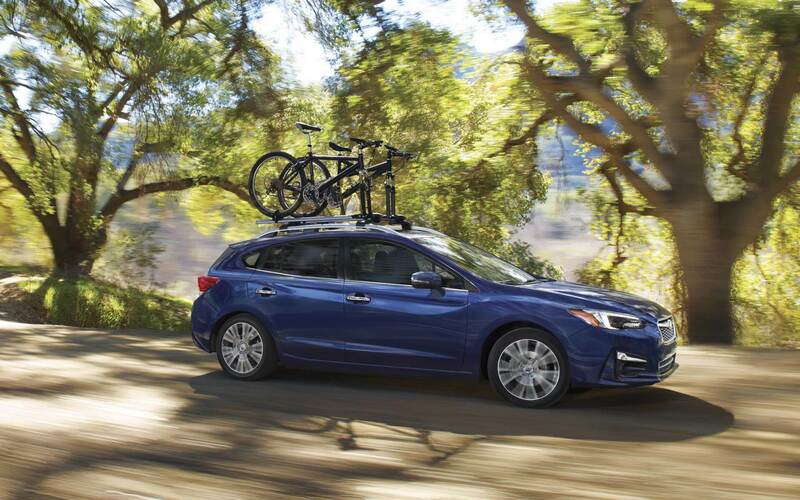 The 2018 Subaru Impreza sedan offers 99.8 cubic feet, while the hatchback version provides 100.9 cubic feet. The hatchback also surpasses the sedan in cargo volume; while the former has 12.3 cubic feet, the latter has 20.8 cubic feet. 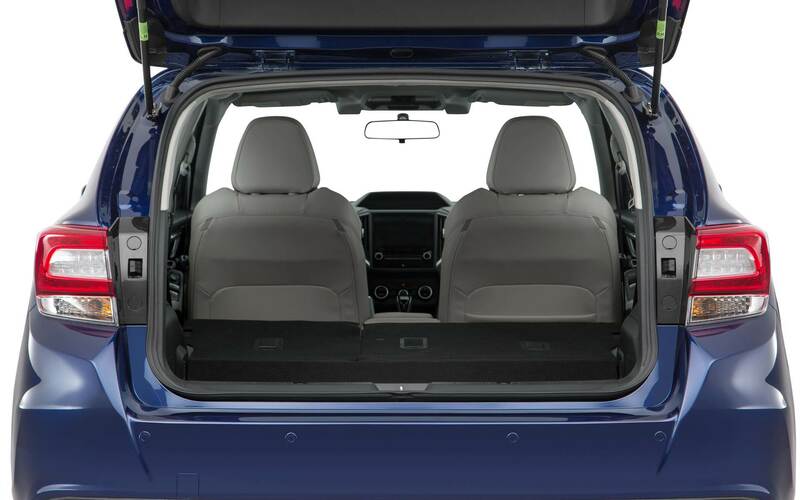 Moreover, if you fold down the rear bench-style seat of the hatchback, you can expand cargo space to 55.3 cubic feet. Nevertheless, both body styles have two rows of seats to accommodate up to five people. Front seating consists of a 6-way manually-adjustable driver's seat and a 4-way manually-adjustable passenger seat. Comfort and convenience features on the Impreza include electronic cruise control, a rear vision camera, Bluetooth connectivity for hands-free phone calls and audio streaming, Android Auto and Apple CarPlay for smartphone-based control, STARLINK for integrating infotainment features, and four-speaker audio with an AM/FM radio tuner and a high-resolution 6.5-inch LCD touchscreen. 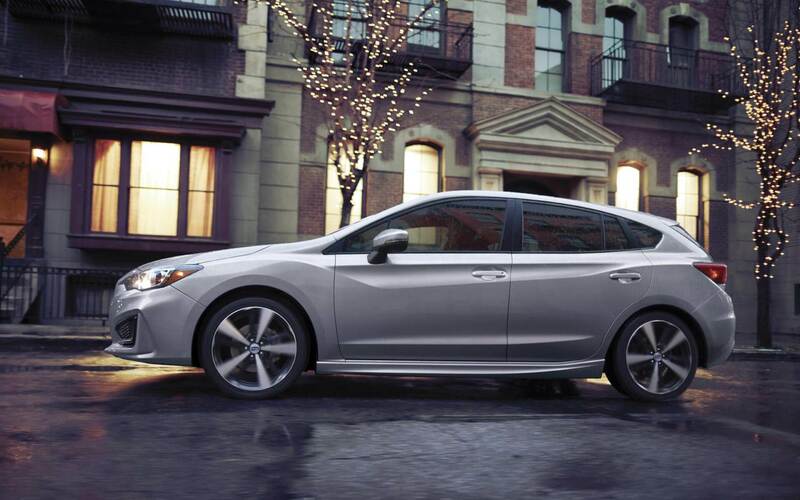 Powering the 2018 Subaru Impreza is a 2.0-liter horizontally-opposed (H) four-cylinder engine, which provides 152 horsepower and 145 lb-ft of torque. The H4 is tied to a fully-synchronized 5-speed manual transmission for ultimate control over gear shifting. However, you can choose to go with the Lineartronic continuously variable transmission (CVT). Unlike traditional transmissions, which rely on gear shifting, the CVT eschews that altogether, preferring to go with an infinite possibility of gear ratios. The absence of gear shifting not only makes for a smoother operation and drive, but also boosts fuel economy, since there's no need to waste energy on shifting from gear to gear. And with its all-wheel-drive system-officially dubbed the Subaru Symmetrical All-Wheel Drive-the Impreza can withstand driving surfaces made slippery by snow, rain, or ice. The small car uses a MacPherson strut front suspension and a double wishbone rear suspension with lateral link pillow-ball joint bushing-complete with a stabilizer bar on each end-to combat and absorb road turbulence. Electric power-assisted rack-and-pinion steering provides a turning circle of 35.4 feet. For restraint and cushioning on the 2018 Impreza in the event of a car crash, Subaru installs dual front impact airbags, which face the driver and front passenger; a driver's knee airbag; a pair of airbags on the front seats for side impact; and dual side curtain airbags on the roofs for head protection on both rows of seats. The four-wheel disc brakes-with ventilated front ones and solid rear ones-are on the wheels to shorten stopping distances, with anti-lock braking to prevent wheel lock-up when the brake pedal is suddenly pressed, electronic brake-force distribution for proper allocation of stopping power and brake assist for additional stopping force when needed. A brake override system is also present for reducing the operation of the accelerator pedal when both accelerator and brake pedals are pressed at the same time to prevent unwanted vehicle acceleration. Also on the Impreza are incline start assist to prevent rollback when you're shifting from park to drive on a steep hill, vehicle dynamics control for using braking power and engine torque to keep you on the intended driving path, and traction control for preventing or mitigating skidding. For a 2018 Subaru Impreza near Thornton CO, specials to Thorton, or quotes on the new vehicle, call us at Flatirons Subaru. We are known for serving Thornton Colorado shoppers with car quotes, excellent customer service, and specials to Thorton. 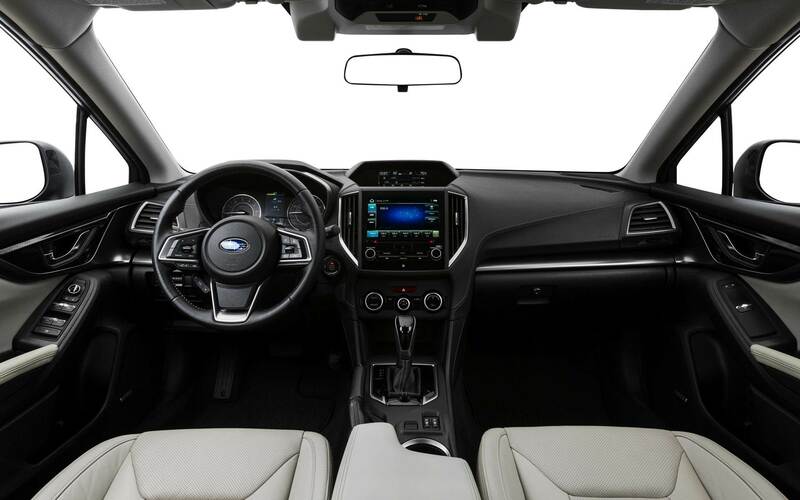 Consequently, Flatirons Subaru is the ideal dealership to visit for serving Thornton Colorado, or if you are looking for a 2018 Subaru Impreza near Thornton CO. Set up an appointment at Flatirons Subaru today for quotes or specials to Thorton. One of our specialists serving Thornton Colorado will be able to assist you regarding the 2018 Subaru Impreza near Thornton CO.